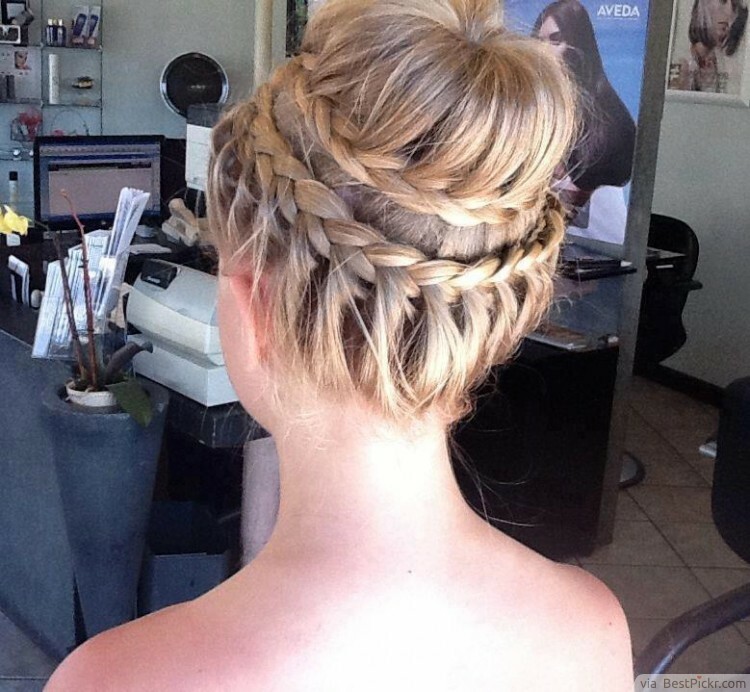 Updo’s for prom have always been popular because not only are they attractive and stylish for formal events, but also because they hold hair up and in place so you can dance freely. This braided bun is no exception! The crown braid in combination with the braid around the bun is gorgeous and very different - perfect for showing off your bold and creative personality.